We are signed up to a Higher Level Stewardship scheme administered by Natural England. This is an environmental grant initiative to encourage natural wildlife to co-exist with modern farming systems. 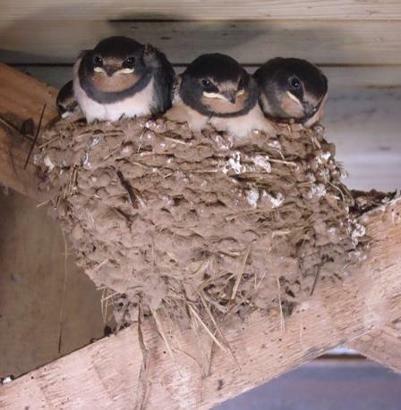 Farmland birds have 3 basic requirements: safe nesting habitat, summer food and winter food. Habitats at Duckaller Farm are being managed to provide to provide these things known as the Big 3. Hedgerows The best hedgerows for wildlife are wide and dense with rough grass margins. They are trimmed every second or third year to provide a bumper berry crop. This benefits birds such as bullfinches, linnets and yellowhammers. The EU birds and Habitats Directives aim to protect biodiversity in Europe. 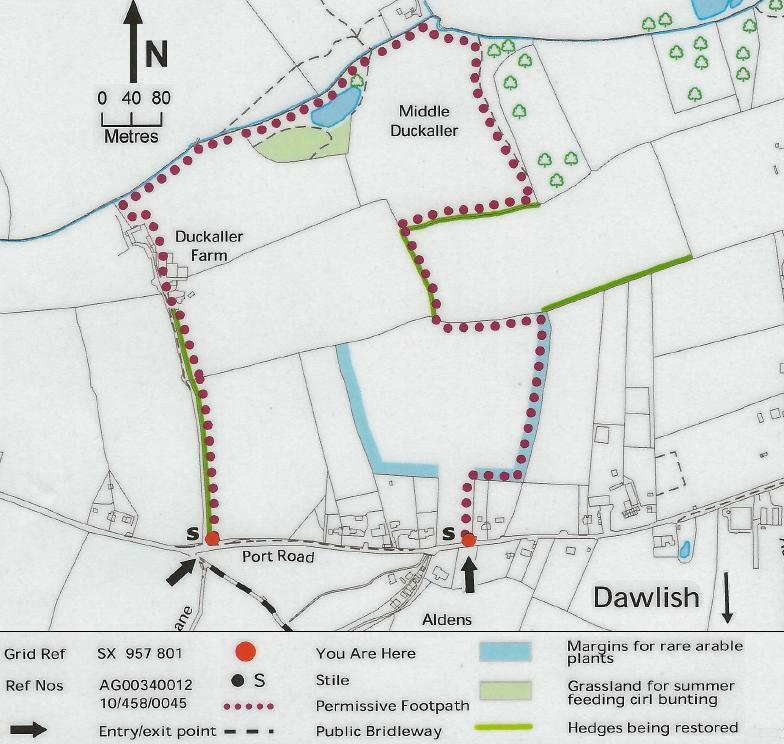 As part of the RSPB's Bird Directive on Farmland Project, Duckaller Farm is doing its bit for farmland birds. This project is funded by EU LIFE+ Programme. Grass Margins Rough grassland can be created by leaving margins uncut and ungrazed. They can benefit overwintering insects, small mammals and many birds including yellowhammers and barn owls. Over Wintered Stubbles Weedy stubble left untouched over winter provides an important winter food source for seed-eating birds including grey partridges and other game birds, skylarks and linnets. The permissive access (pictured left) has been provided under the Department for Environment, Food & Rural Affairs' (DEFRA) farm conservation schemes as managed by Natural England, which help farmers and land managers protect and improve the countryside its wildlife and history. Please follow the countryside code and observe any other requirements shown in the key. Do not disturb livestock, wildlife or other visitors and in particular keep dogs under control. This is working farmland so please take care. People using this site do so at their own risk. 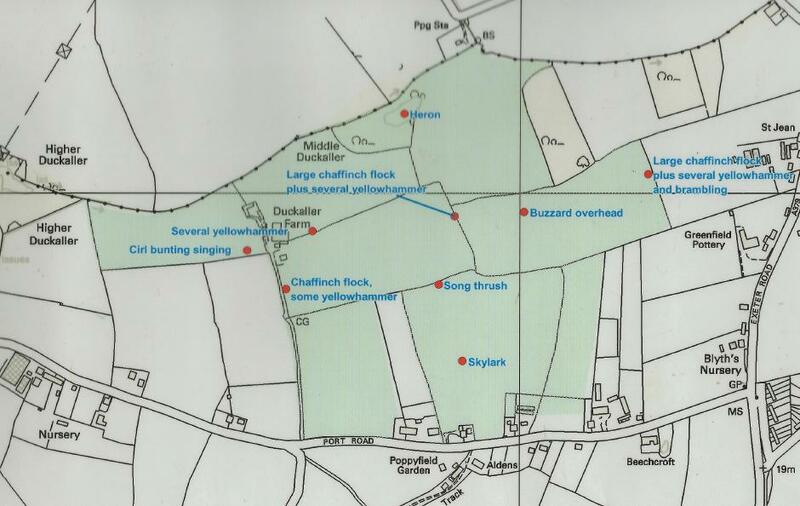 Below, recent survey of what birds can be found at Duckaller.